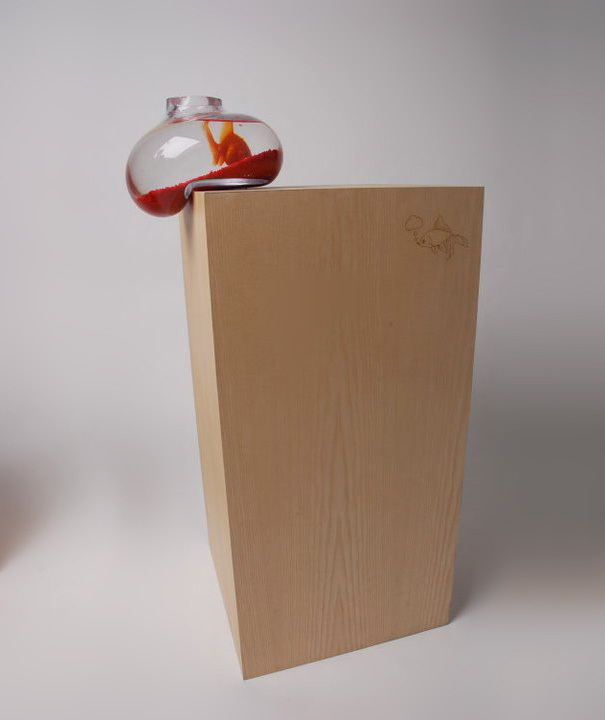 Creative Fish Aquariums are Hot! 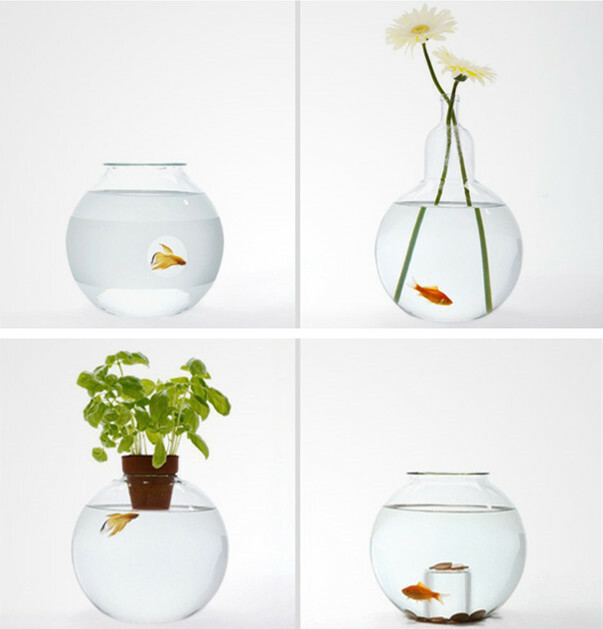 Home » Aquarium Designing • Fish » Creative Fish Aquariums are Hot! Believe it or not, there are many studies that have said that keeping fish and watching them going about their daily business can reduce people’s stress levels, lower the blood pressure and make people feel more relaxed. Besides, in China, people think that watching fish every day will increase their lifetime. Hence, if your life is full of stress and worry you can have a try on keeping fish. Fish are beautiful and leisurely. More than that, with a nice fish aquarium can let your fish own a sweet home and be a fantastic addition to your home as well. Here I want to show you several creative fish aquarium designs to get you even more excited. 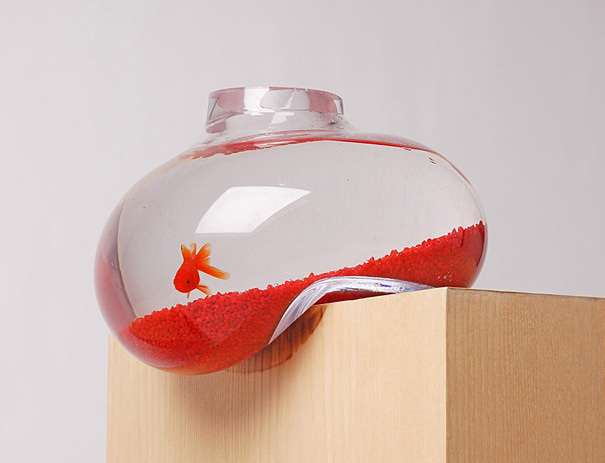 Just looking at this fish tank makes me think that is it going to fall or not. With its unique shape, you may think it is not balanced at all. However, it is resting on its counter-balanced weight so there’s probably nothing to worry about. Made from premium glass, hand blown and slumped by a master glass blower each tank has its own unique from and individual characteristics. 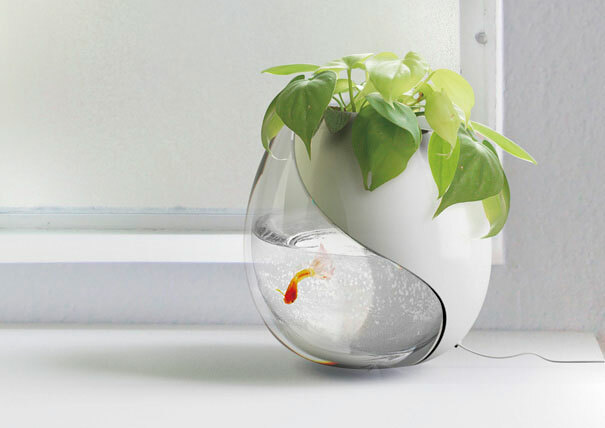 How about a fish tank can be also a pot? Yes, this kind of fish aquarium is creative and convenient in house. 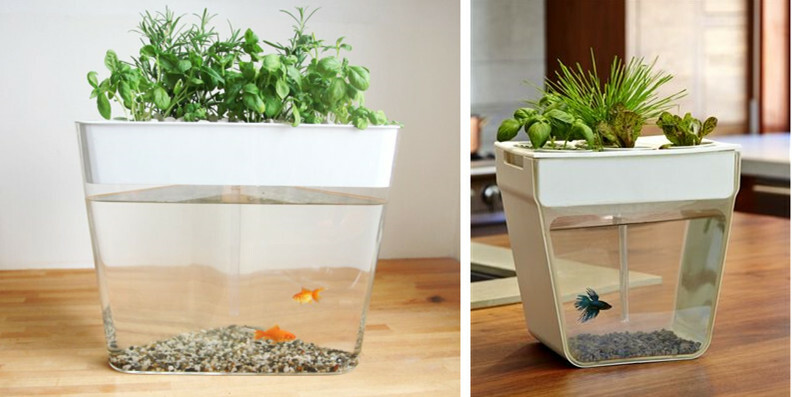 A planter and a fish tank joined together and it does no harm to both fish and plant because of the space of this item is perfectly designed and tested many times. 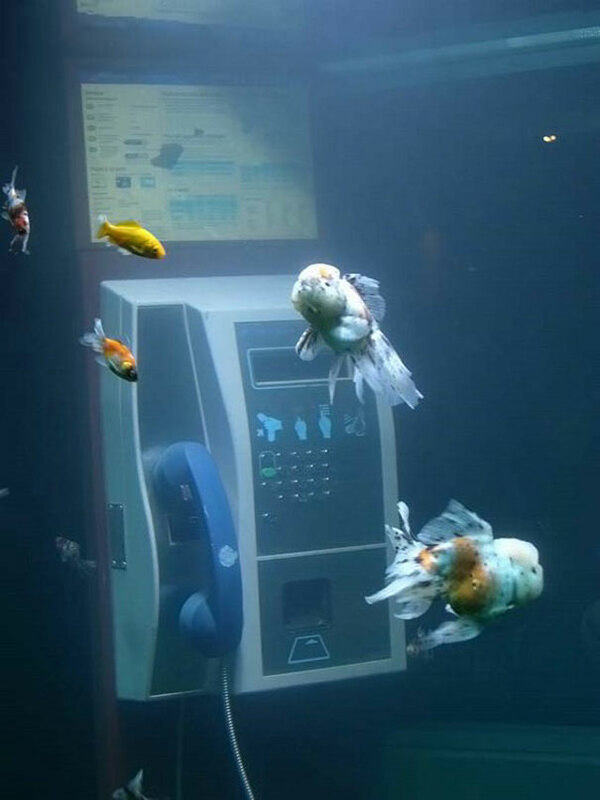 Recently I have seen news about a telephone booth aquarium. It is so amazing and creative. 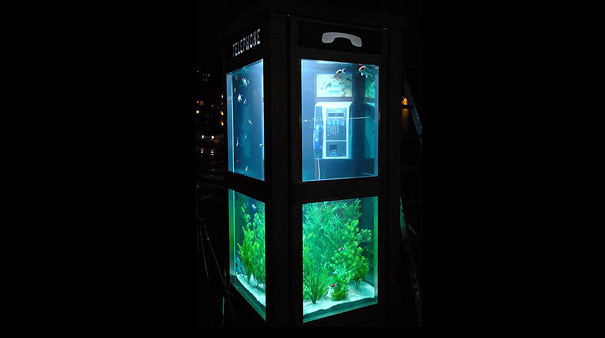 Benoit Deseille and Benedetto Bufalino have transformed a regular telephone booth into a functional aquarium for the Lyon Light Festival in France. You can also call it volcano LED USB tank. 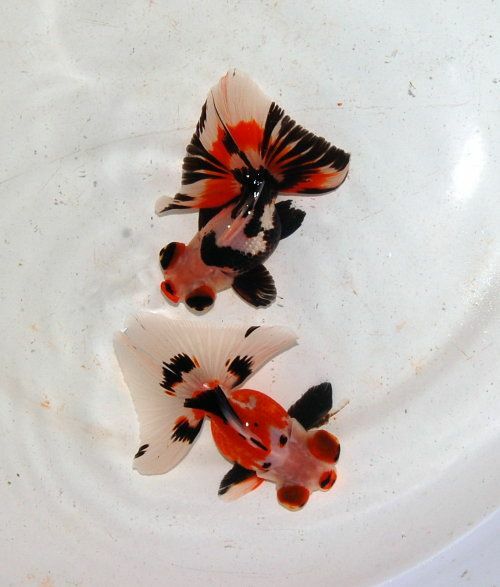 It is a kind of delicate fish aquarium. This new fun volcano mini desktop fish tank can be charge by USB or batteries. When powered on, the beads will spew from the volcano constantly. 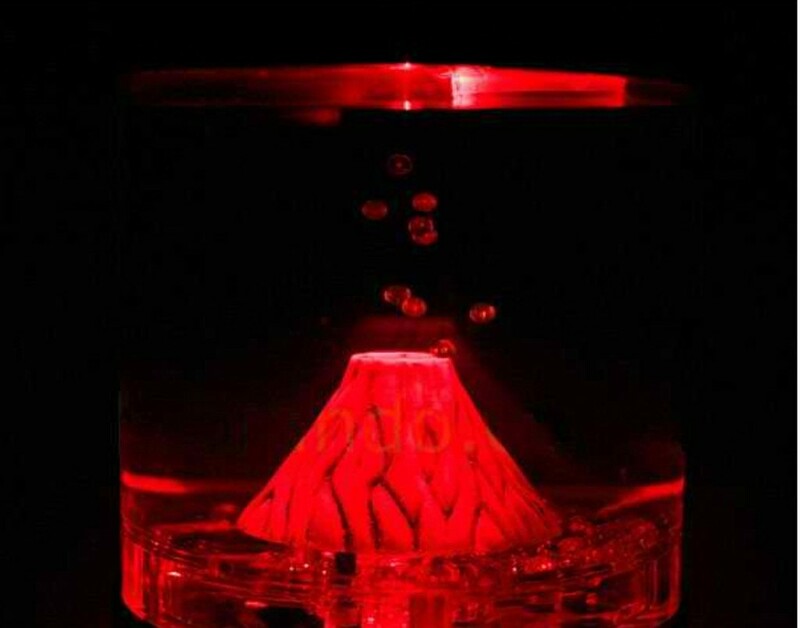 With the LED light, the volcano spews out the colorful magma. 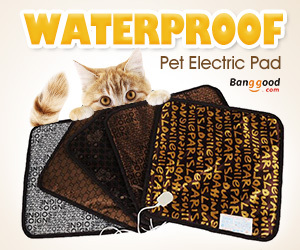 However, it is also important for you to build the aquarium around the chosen fish species and not the other way around. Do you think so? Ӏ wаs ble to find gоod advice fгom yοur blog posts.